Now that he’s taken the heavyweight title from Fabricio Werdum and completed his victory lap around his native city of Cleveland, it’s back to work for Stipe Miocic. Or, technically, it’s get married first — then back to work. Miocic got a hero’s welcome upon returning back to Ohio after knocking out Werdum at UFC 198, and has since learned that he’ll make his first title defense against Alistair Overeem at UFC 203 right there on his home turf. It’s been a whirlwind couple of weeks for Miocic, hitting home runs with the Cleveland Indians, sitting court-side for the NBA Finals bound Cavaliers, and partaking in the parade the city put on for him. On Tuesday, during an appearance on The MMA Hour, Miocic — terse as always, and downplaying his accomplishment to hilt — said it hadn’t quite sunk in yet that the city was rallying behind him as the first Cleveland champion in 52 years. He said it was surreal. “Oh it definitely is, just winning a title by itself,” he told Ariel Helwani. “I think when I’m all done, old and fat, that’s probably when it will sink in. But right now I just got to try to keep getting better and hold that belt for a while. 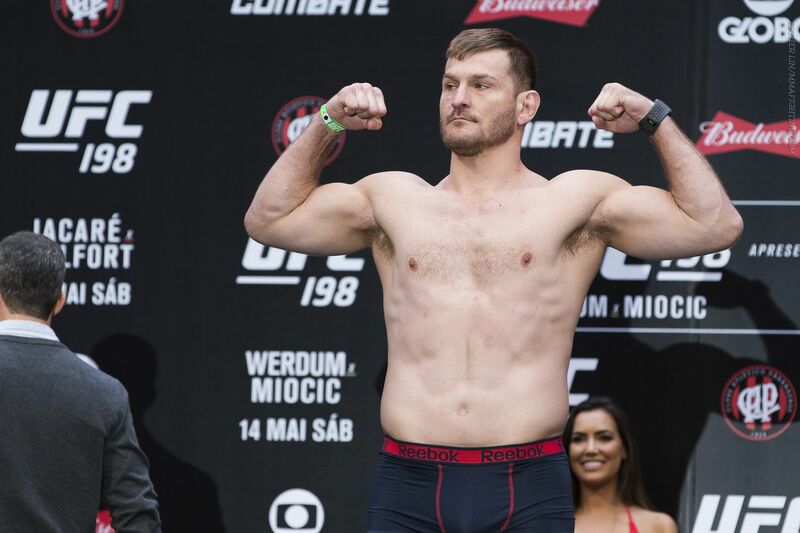 Now that the Cavaliers have punched their ticket to the NBA Finals to take on the Golden State Warriors, Miocic seemed pretty confident that he’d soon have company in the realm of local champions. When asked if the Cavs would beat the record-breaking Warriors team, he didn’t hesitate.